It might sound like a tired old cliché but first impressions really do count, in real estate as much as first dates. Making a poor first impression with a property that lacks visual street appeal could cost you big time when it comes to selling your house – an estimated average of $90,000 according to a survey by find.com.au. One third of the people surveyed would offer 15-20% less than the asking price if they were unimpressed with a houses curb side aesthetics. Queensland residents were the most likely to be deterred! You’ll never get a second chance to make that magic first impression and there’s nothing quite like wrought iron fencing to convey a lasting sense of quality, style and durability. 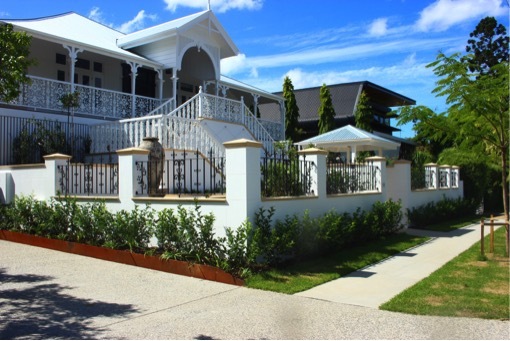 Create the right type of first impression to your Brisbane home with wrought iron fencing. It’s a fact, we do judge books by their covers and houses by their exterior. From the very first glance at a property, potential buyers will either imagine themselves living there or think “no way”. It takes a LOT of work to correct a bad first impression. Street presence is the whole purpose of your home’s façade and exterior, and it starts with the fence. Wrought iron fencing adds instant style and substance to your home. Real estate agents typically recommend sprucing up your home’s exterior with a quick landscaping touch up and new paint job when putting your home on the market. But don’t overlook the fencing – this is the first thing that potential buyers will see and far too often falls victim to the mentality of ‘it ain’t broke so we won’t fix it’. Shabby fencing is not chic. A new fence is the most simple and cost effective way to create an instant and lasting impression with potential buyers – before they’re even out of their car. A tired, ragged or poorly repaired fence will detract from and reduce much of the positive effect of any new landscaping. A new fence not only adds instant curb appeal, it also helps to attract more potential buyers. Improving your home’s façade and fencing will pay off with a higher selling price and attract more interested people inspecting the property. If you’re renovating to lease, you’ll attract a better quality tenant. What does your fence say about your home? It used to be believed that you had at least a few minutes to create a good first impression. We now know that you literally have a few blinks of the eye – literally the time it takes for an interested buyer to drive or walk past your property. What sort of impression does your fence currently make? Does it give an instant good feeling about your property? 9 out of 10 people would offer an average of 13% below the asking price if they found the property exterior unappealing. One third would offer 15-20% below asking price if their first impression of a property’s exterior was poor. 8% would ask for a 25% reduction if unimpressed with the house’s curb appeal. Queensland buyers were more likely to be negatively affected by a bad first impression of a property. Like a strong, firm and confident handshake at a first meeting, a wrought iron fence imparts a sense of permanence and integrity. It draws attention without overpowering your home or landscaping. A wrought iron fence is the perfect choice for Brisbane’s extreme seasons where durability is as important as style and good looks. The low maintenance of wrought iron is a bonus. Wrought iron fencing is stylish, durable and able to be customised to suit every home’s individual architecture and landscaping. Wrought iron can be customised into limitless intricate and varied designs. From elegant and flowing to strong and bold – your fence can and should be a statement piece for your home, not just a boundary border or security measure. Don’t be put off by the outdated image of wrought iron fencing being traditional and boring. The designs and styles that can be created by artisan blacksmiths specialising in wrought iron fencing are limited only by your imagination and what best suits your home and landscaping. There is no better example of the head and heart working together when it comes to buying a new home. No matter how wonderful your kitchen and bathroom renovation is, or how you’ve co-ordinated scatter cushions to contrast and highlight your freshly painted interior walls in this season’s latest colour – don’t neglect your fencing. A fence in poor repair or one that doesn’t match your home’s style or asking price will have potential buyers ready to knock up to 25% off before they’ve started negotiating. Choose the right fence for your property and you’ll have potential buyers imagining welcoming friends and family to their new home before they have even walked in the front door. If you’re thinking of selling your home, don’t overlook the power of first impressions. Nothing makes a stronger and more flattering first impression than a customised wrought iron fence, designed to maximise and enhance your home’s street appeal. The master craftsmen at Dean Wilson Iron can help you match your wrought iron fence with the look of your home in order to increase its value. 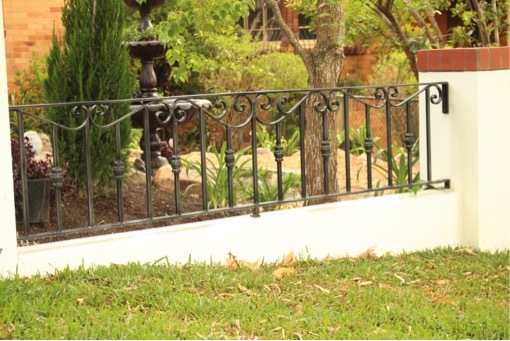 They have over 20 years’ experience manufacturing wrought iron fencing for Brisbane and Queensland homes. They can help to guide you with expert advice on the style that will best suit your property’s exterior and create the greatest visual impact for potential buyers. Before you spend any money on a new fence, speak to Dean Wilson Iron about wrought iron fencing that enhances your home and suits your budget. 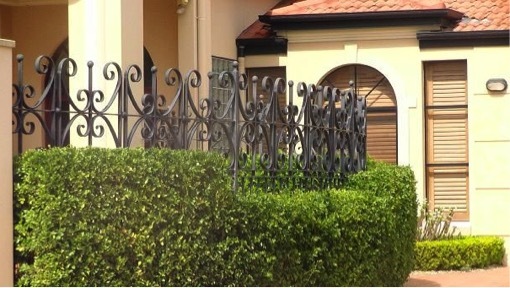 Brisbane and Queensland’s award winning wrought iron fencing specialists are just a phone call away on 07 3814 0076. Need impressive wrought iron fencing to give your home instant street appeal? Contact the experts at Dean Wilson Iron today. Previous Post Installing Your Wrought Iron GateNext Post What is the Difference Between Wrought Iron and Steel?